Dinosaur Comics - March 16th, 2015 - awesome fun times! 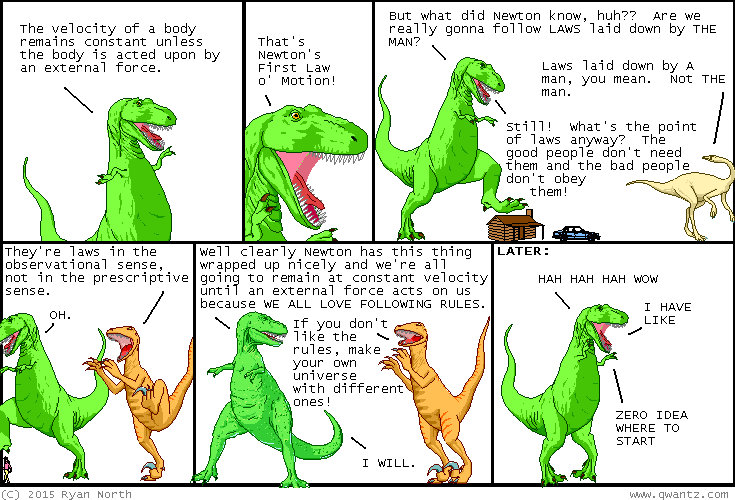 March 16th, 2015: SCIENCE FACTS can be deduced from this comic! Therefore it is TECHNICALLY EDUCATIONAL. Thank me later!! I kinda made a new shirt and I think it's kinda the greatest? ?